Windwaker are having a DREAM year. Their EP 'Empire' dropped last Friday to a rabidly excited audience - who have responded in kind by eating the EP up on iTunes, Spotify and all online outlets. 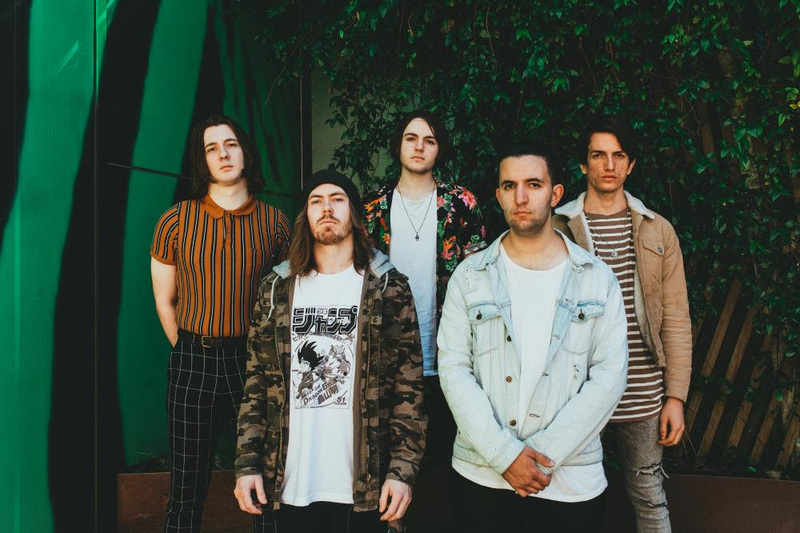 Crowds have been lapping up their live show across both Download Festival Melbourne and on their current tour dates with UNFD act The Brave. Today they announce their own headline tour - a short, sharp, East Coast Australia tour to say thank you for all the love they have received on this EP in Sydney, Brisbane and Melbourne in May & June! 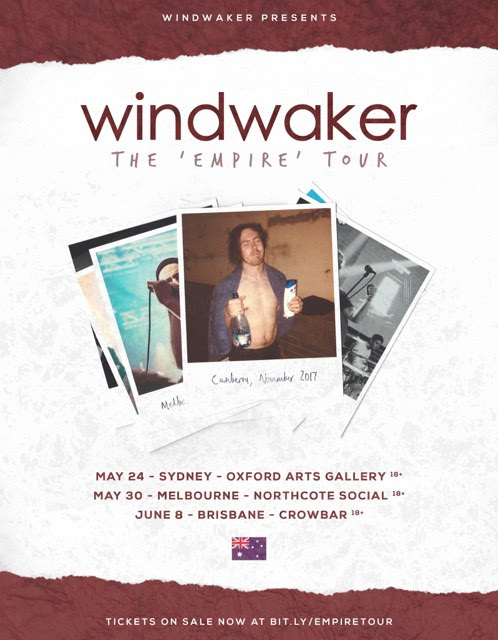 The 'Empire' tour kicks off in Sydney at the Oxford Arts Factory Gallery Bar on Friday May 24th, then hometown Melbourne May 30th at Northcote Social and up to Brisbane at Crowbar Brisbane on Saturday June 8! Tickets for The 'Empire' Tour are available now at http://bit.ly/empiretour. Vocalist Will King spoke for the rest of the band - "We really cannot believe the support and love that we have been shown for Empire - it's absolutely mind-blowing. We are so grateful for it all, we just did not predict this coming at all. We are so excited to see everyone on this tour and for what is coming for the rest of the year for us!" Wall of Sound saw Windwaker's show at the Bendigo Hotel with The Brave and said that "With this show being their first since the release of their new EP Empire which came out only a matter of hours prior, the anticipation was overwhelming. As they started playing it became apparent to me that this five-piece are a world class act. The way they perform is mesmerising to say the least. With deafening sing-alongs and heaps of moshing, this band had the crowd begging for more. If you haven’t listened to their new EP yet, get your priorities sorted!" The love for the band is no fluke either - the love is real, across the board - with killyourstereo.com saying that "Windwaker aren’t one of those local bands that gets talked up simply because they’re a local band and their mates like them. No, there’s actual, honest-to-god talent here." and Depth Mag proclaiming that "Empire is such a treat of a listen, and I can already see it as being something that easily propels Windwaker to greater heights and deservedly gains them attention." The band have seriously ticked off massive things already in 2019 - Single My Empire premiered to the world on triple j's Good Nights with Bridget Hustwaite, My Empire was added to spot play and then bumped up to full rotation on triple j, they are this week's triple j unearthed feature artist, were chosen as the Download Festival Melbourne triple j unearthed artists, both tracks added to triple j unearthed rotation, both singles played on triple j's The Racket, Short Fast Loud and Home and Hosed and rotation on The Faction Radio, the cover image artists on Spotify's Homegrown & Heavy playlist and both videos played on RAGE. Both singles have been added to Spotify playlists New Metal Tracks, Homegrown & Heavy, New Core and New Blood and featured on Spotify's New Releases of the week page, as well as featured on Apple Music playlist Heaps Heavy. Windwaker's Empire EP is available now at https://windwaker.lnk.to/empire. Tickets for The 'Empire' Tour are available now at http://bit.ly/empiretour.